Income Invoices (B2C) were issued in July 2018 for Rs. 51,000 and Rs. 86,000/-. Accordingly GST @ 18% (12330+12330) was deposited and GSTR-3B & GSTR-1 Returns were filed. Now, these Invoices have become bad debts. For March 2019, Income Invoice (B2C) issued is for Rs. 85,000/-. GST @ 18% (7650+7650) is to be deposited. 1. How to adjust bad debt Invoices in March 2019? 2. Which tabs and steps to be used in GSTR-1 to make the amendments? 3. 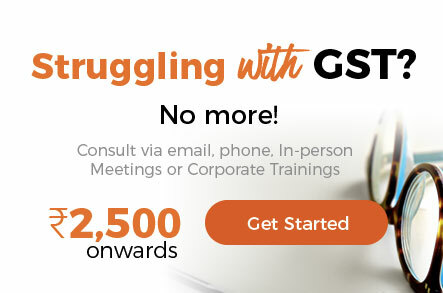 Can the GST liability of March 2019 (7650+7650) be set off against the GST already deposited (12330+12330)? If yes, How to make the adjustments for this?